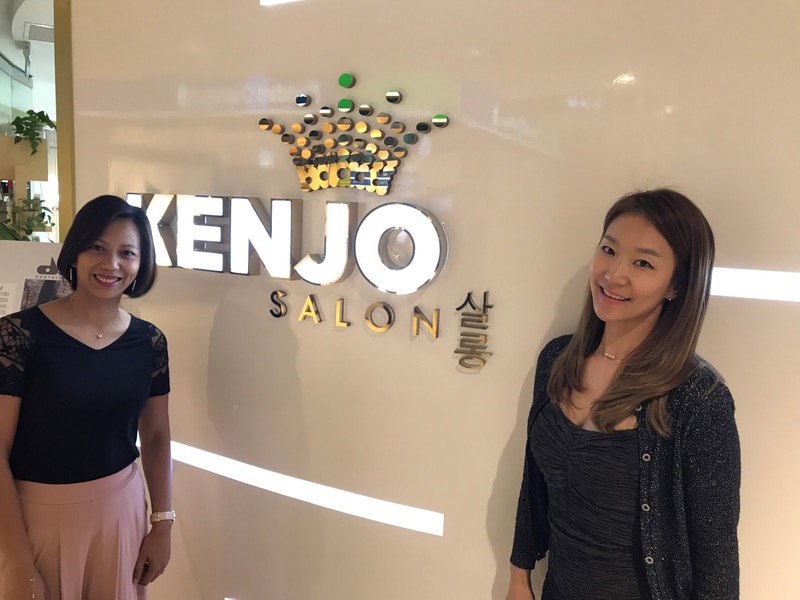 Just a few days after my family's weekend island getaway, I went to Kenjo Salon for a much-needed hair treatment. My hair was exposed to chlorine for two straight days during our short holiday. 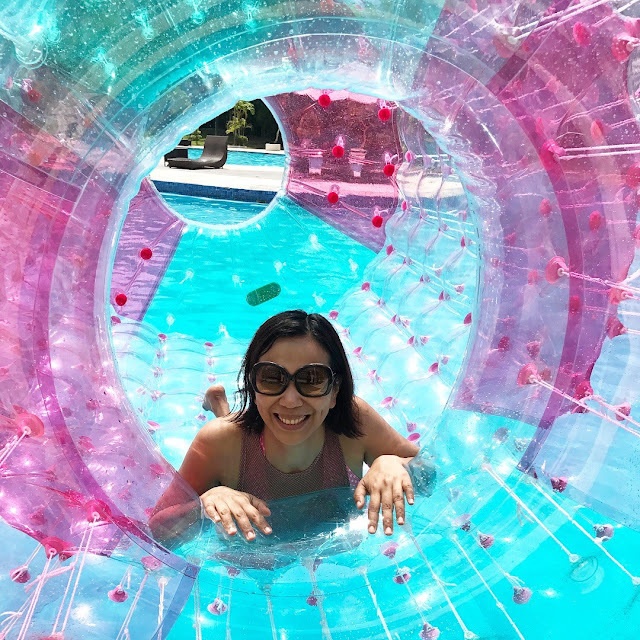 We stayed in the swimming pool around 1 hour in the morning and 2 hours in the afternoon on our first day and another 3 hours in the morning on our second day. According to a dermatologist who specializes in hair and scalp disorders, chlorine strips away the natural oil on one's hair, leaving it dry and brittle. Obviously, I am one happy mama because my boy enjoyed every moment of his special day but look at my crowning glory! It suffered greatly from being soaked on chlorinated pool water for good 6 hours in 2 straight days. 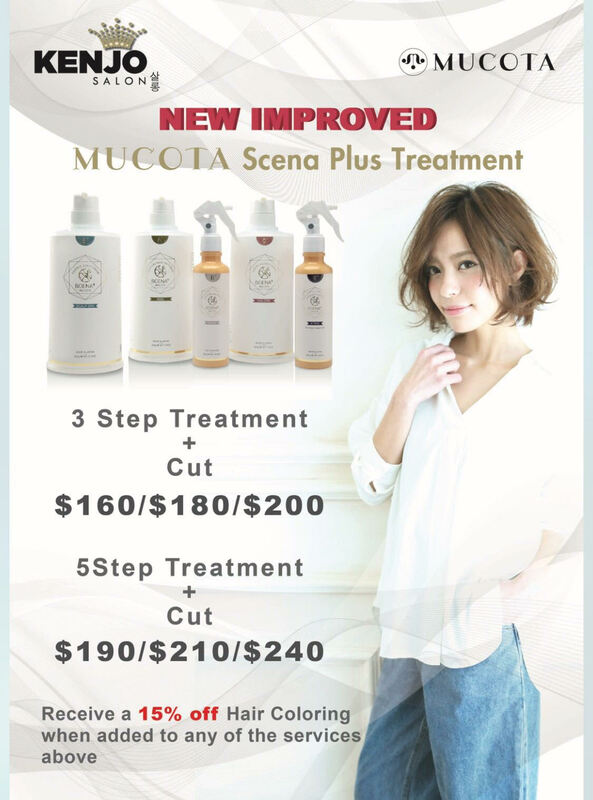 So off I went to Kenjo Salon on Tuesday after I knocked off from work (we came back from holiday on Sunday evening) to pamper my hair with the New Improved Mucota Scena Plus Hair Treatment. As usual, I was escorted to my "throne" and was served mocha with Lotus biscuits right away. ETHOS - helps to detox and neutralize residual agents from chemical treatment from my previous rebonding and colouring treatment. 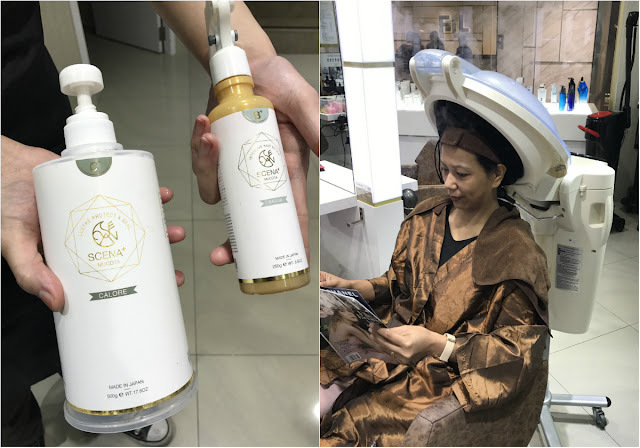 SCALP SPA - effectively prepares the scalp for treatment and protects it from irritation. It also adds moisture by replenishing the natural moisturizing factor of your hair and scalp. 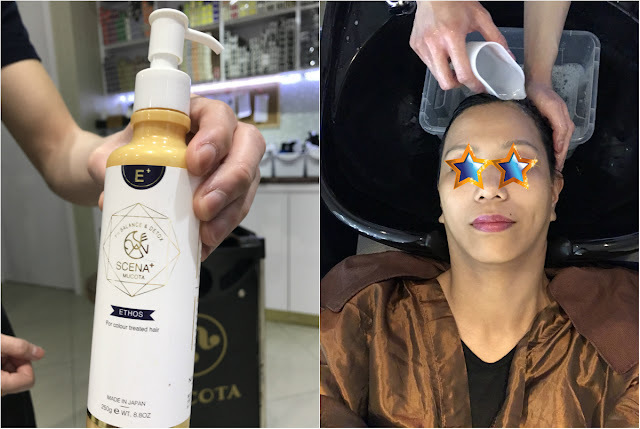 3) ADEL - contains various elements which penetrates deep into hair structure, leaving it soft and hydrated by means of deep hydration and restoration of hair's natural elements. 4) BRAVA - repairs a wide spectrum of damage hair by creating net-like structure within the hair to prevent essential elements from flowing out. After being applied on hair, steam is done for 10 minutes. 5) CALORE - protects hair cuticle to prolong the treatment effects which lasts for about 8 weeks. 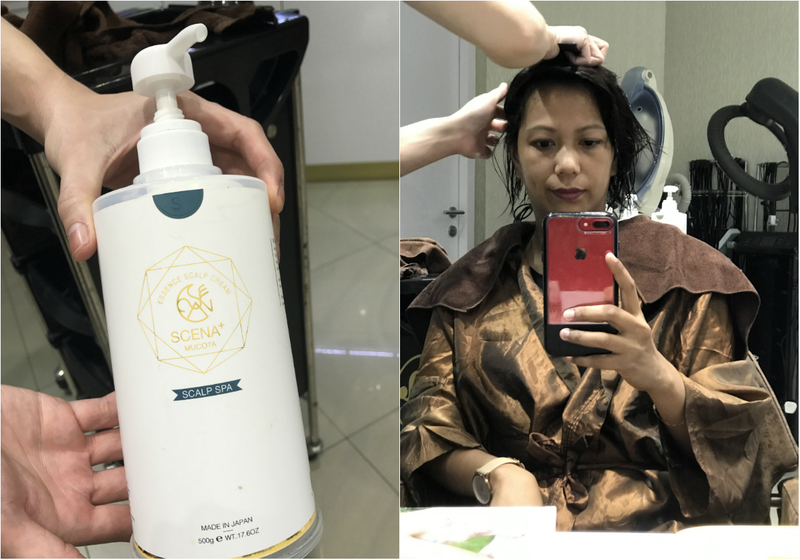 The treatment rendered my damaged hair shiny, smooth and oh-so-silky! It felt like I am wearing a crown with nothing but my newly pampered hair. If you are due for a hair treatment, don't miss this awesome promotion for the whole month of August! First time customers get 15% off any hair services by quoting "CherryBerry" upon booking your appointment. 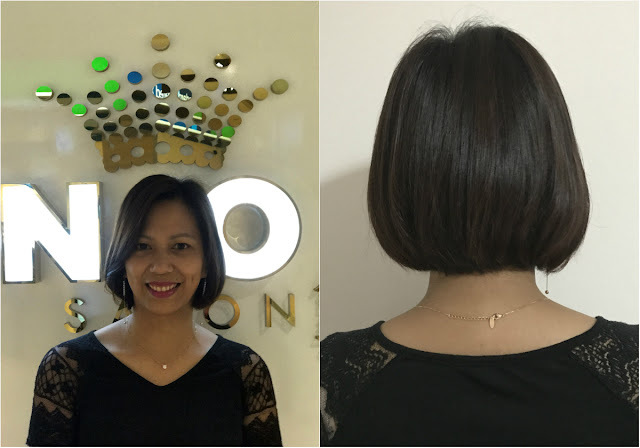 Call 6238 8083 to book an appointment in advance and look for my Korean Stylist, Sha Sha. She doesn't just take good care of my hair, she also makes all my salon visits very relaxing and blissful. You should see the video I shared on Instagram where she gamely poses for my camera thinking I am taking a photo but I was actually taking a video. We both had a really good laugh! Thank you, Sha Sha! You are ever so professional and amicable at the same time. I can't wait to see you again soon. *This post is brought to you by Kenjo Salon and Sweet Memoirs collaboration.